Guide to Leiden's Museums. What to do in Leiden on a rainy day? Possibly the crown jewel of all of Leiden’s museums, the Dutch National Museum of Antiquities (Rijksmuseum van Oudheden) is a must for fans of ancient cultures. 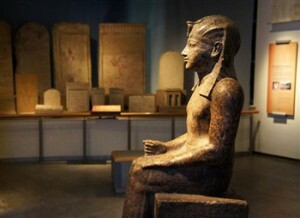 Five permanent exhibitions feature the Egyptian, Greek, Roman, Etruscan, Near East and of course, Dutch civilizations. The museum’s collection of Egyptian mummies and sarcophagi is superb. And with many exhibits being animated, the museum is fun and informative for young and old. You can’t miss the CORPUS museum -it’s shaped like a huge human body! This quirky building is great fun for families with children from about 8 years old. Once inside, visitors go an interactive ‘journey through the human body’ – starting at the bottom and working your way up through the brain. Along your journey you can see, feel and hear how the human body works. And there’s a touch of humour involved too. Our favourite part was walking on a giant tongue (made of spongy material). To visit, you need to book in advance. And plan at least 2 hours for your visit. As you have probably guessed from its name, Naturalis (National Museum of Natural History) is all about nature. Amongst fossils dating back millions of years, you’ll find two dinosaurs, a 9-meter long mosasaurus, an ancient horse and a mammoth. Of course this museum is great for kids! Leiden’s Boerhaave museum is situated in a former hospital (St. Caecilia) and is named after a legendary university instructor, Herman Boerhaave (1668-1738). The collection covers five centuries of natural and medical sciences. Highlights include the oldest pendulum clock made by Christiaan Huygens and Leeuwenhoek’s microscopes. Other showcases include Kamerlingh Onnes’ ultra-deep freeze equipment and a prototype of the electrocardiogram. The Boerhaave museum is great for children, as you can conduct your own science experiments here. Leiden’s Botanical Gardens (Hortus botanicus) are the oldest in the Netherlands. And they have belonged to the University of Leiden since 1590. Four centuries of careful tending have produced a magnificent garden with various exotic and rare plants. The exceptional gardens and greenhouses, including the Japanese Gardens and the Victorian Greenhouse, are well worth a visit. The Leiden American Pilgrim museum is all about the Pilgrim founders of New England, who stayed in the city on their way to America. Furnishings from these times depict aspects of their daily life. And events involving the Pilgrims themselves are illustrated with a collection of sixteenth and seventeenth-century maps. Engravings by artists such as Gerard Mercator, Adrian van de Venne, and Jacques de Gheyn are also on display. You probably wouldn’t expect to find exquisite ancient Japanese objects behind a 17th century Dutch façade, but this is certainly the case at Leiden’s the Siebold House. On display are thousands of natural, artistic and cultural Japanese treasures collected by Philipp Franz von Siebold – a Bavarian physician – during the 19th century. Another of Leiden’s fine museums, Museum De Lakenhal details the city’s crafts and history. The museum is housed in the Laecken-Halle (cloth hall), which used to be the centre of Leiden’s thriving cloth trade. This 17th century palace is also one of the finest examples of Dutch Classicism. 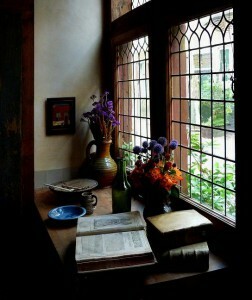 Highlights are works by Old Masters such as Lucas van Leyden, Rembrandt van Rijn and Jan Steen. There are also works by contemporary artists such as Theo van Doesburg, Jan Wolkers and Erwin Olaf on display. When in Holland you should at least see a windmill or two. And what better place to do so than the Molenmuseum de Valk? This authentic tower mill dates back to 1743 and even shows what the living quarters in a mill are like. In Leiden’s Museum Volkenkunde (Folk Museum), visitors of all ages can take a world trip through ancient art treasures from all continents. Everyday objects from far-flung countries – such as clothes, eating utensils and toys – make this collection especially unique.